Out of ideas and tired of standard Valentine's Day fare? Give him something Out-of-this-World this year! 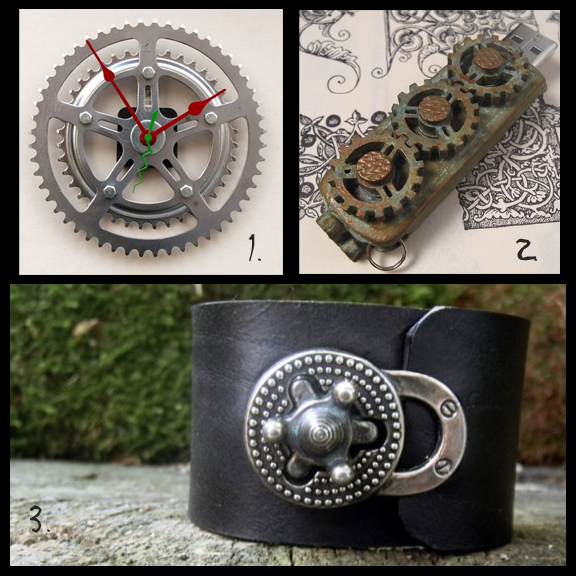 These gifts are inspired by Steampunk, a style trend based on the idea that the technology upon which society will eventually come to depend is driven largely by steam power or clockwork. Give him the accessories he needs to battle against time, cold, grime, idea storage and poor style. 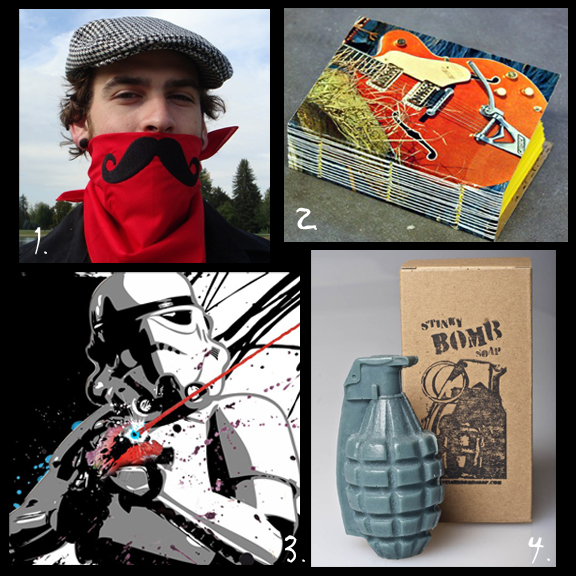 These gifts would work for boys of all ages! Have fun shopping! New to Etsy? Here's a helpful article on how to shop. I had a ton of fun with this- thinking next year we need to do a "hers" version! These are really fabulous ideas, I love the look. Great picks Erin I also love the Star Wars Clone Trooper!